Consumers are given yet another option for a seamless shopping experience as Visa and SM Supermalls collaborated to promote contactless payments nationwide. Officially commenced last April 5, the said partnership allows consumers to pay for their purchased goods and products under PhP 2,000 by just tapping their Visa cards on 5,000 contactless payment terminals in 59 SM Stores in 68 SM Supermalls across the Philippines. This collaboration also makes SM the first local retail group to accept nationwide cashless payment. 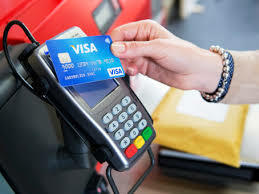 According to Visa Country Manager for the Philippines and Guam Stuart Tomlinson, the deal primarily aims to let Filipinos be aware of the advantages of cashless shopping both for consumers and businesses. “We want to show Filipinos how contactless payments can elevate and transform their shopping experiences. Likewise, we believe contactless payments will also improve the productivity level for cashiers at the various retail outlets so that the service staff can tend to customers faster with ease,” he said. Tomlinson also pointed out that this venture with retail giant SM supports the Bangko Sentral ng Pilipinas’ (BSP) bid to boost the digital economy by having local electronic transactions reach 20% by 2020. “Contactless is the future of payments. With SM coming on board, we look forward seeing more Filipinos embrace it and helping to accelerate the use of electronic payments in the country,” Tomlinson added.